Edelbrock Intake Manifold Bolt Kits will work with Performer, Performer RPM, and Torker Edelbrock manifolds. 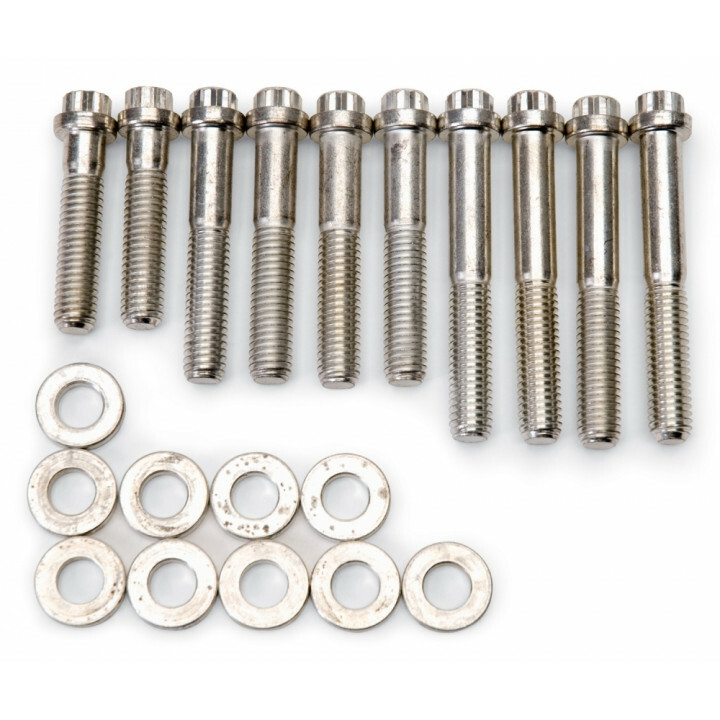 The kits feature reduced hex heads for easy wrench access, and come with hardened washers. They have a great looking cadmium finish which will also resist corrosion. Important Note: Designed to fit Edelbrock 7105 intakes only.